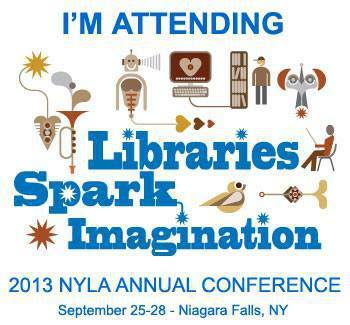 I will be doing a table talk at the NYLA Annual Conference in Niagara Falls on Saturday, September 28th. The table talk will consist of three 20-minute informal sessions in which I will highlight some of the ways librarians have been successfully using iPads in their storytimes. I’ll also do some quick demonstrations of how I’ve incorporated apps into my storytimes. If you’ll be in attendance, please stop by and discuss storytimes, tablets, and technology with me! Posted on September 20, 2013, in Literacy and tagged Anne Hicks, NYLA. Bookmark the permalink. Leave a comment.